Trail companion: mountain bikers need a durable frame and self-tinting lenses. uvex sportstyle 706 v delivers both, with style. 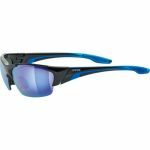 Choose uvex sportstyle 706 v when you need tough mountain bike eyewear with a large slice of lifestyle. Its rugged design is equipped for every trail. Large lenses widen the field of view. In seconds, the variomatic® lens technology automatically adapts to prevailing light conditions, from bright sunlight to dark forest, thanks to level 1-3 protection (S1-S3). Whether tinted or clear, the lenses protect the eyes 100 % from harmful UVA, UVB and UVC rays. 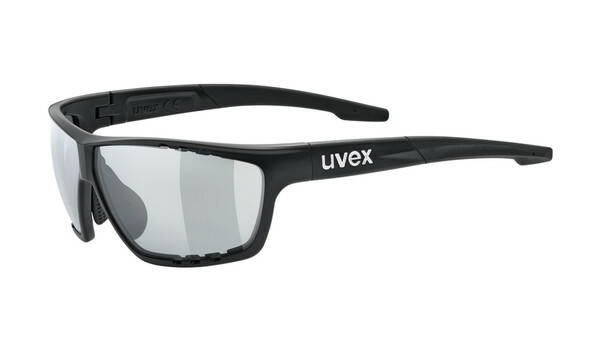 uvex sportstyle 706 v lenses won’t fog, thanks to supravision® anti-fog coating and cut-out vents. Custom fit via adjustable earpieces and nose pads.